High Peak's new Alpinismo™ line of outdoor gear is designed around creating your own Big 4 Integrated System™ at 12 pounds or less. 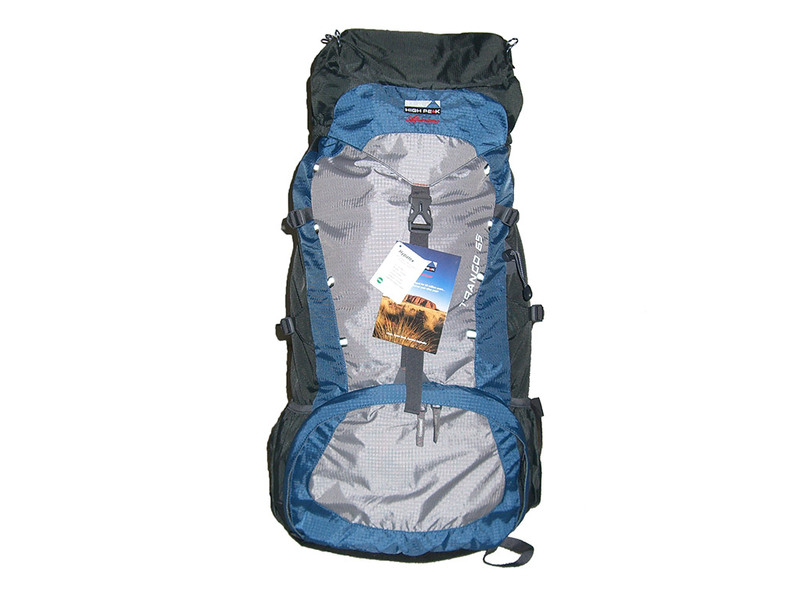 The Trango 65 backpack is the largest pack in the Alpinismo line. It's big on space, yet only weighs 3 pounds 6 ounces. It is built with durable, lightweight materials like double ripstop nylon. 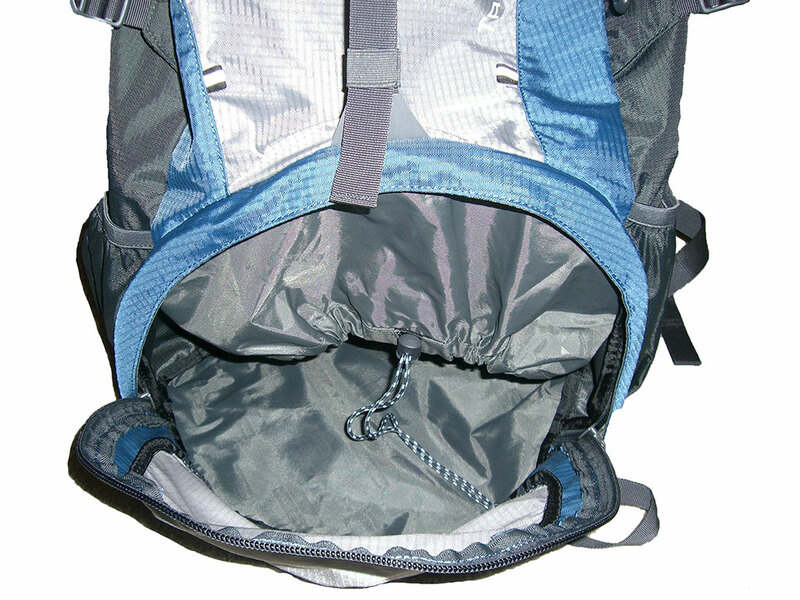 The main compartment of the Trango 65 backpack is separated from the bottom by a drawstring divider. 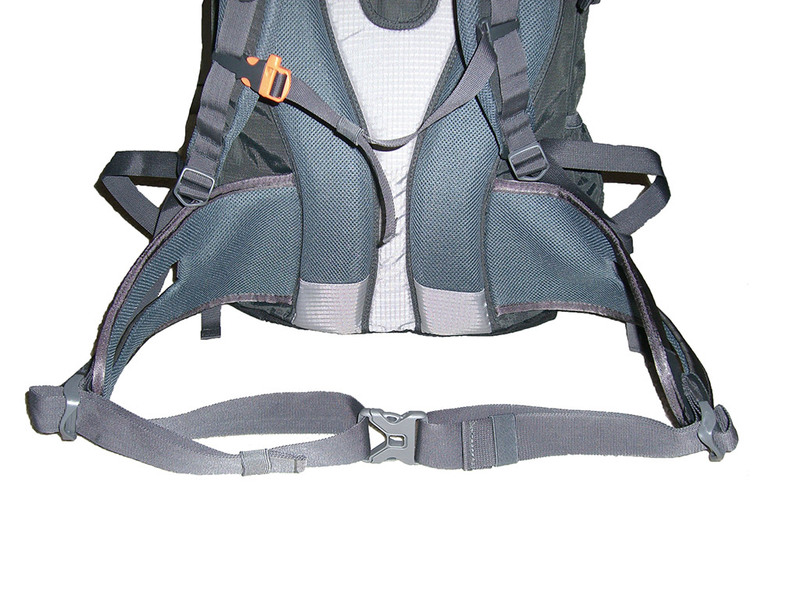 The backpack also features a top lid pocket, interior lid pocket, sternum strap with whistle, breathable hip belt, side compression straps, ice axe holder, hydration pocket and hose port, eva foam shoulder straps, adjustable Vario Harness System, mesh backing, and pre-formed aluminum suspension bar. The black, blue, and grey colors of the Trango 65 compliment any hiking attire. When I first picked up the High Peak Trango 65, I was amazed at how light it is. I compared it to my 40 liter day pack and the Trango 65 is only 11 ounces heavier. Following High Peak tradition, the quality is top notch. All seams are tightly stitched with no loose threads left behind. Although lightweight, the ripstop fabric appears very durable. The Trango 65 has no problems hauling my sharp aluminum shovel inside the main compartment. I really like several of the backpack's features, like the drawstring divided main and lower compartments. I appreciate having more options when packing my gear for my next adventure. The emergency whistle on the sternum strap is also a nice touch. High Peak engineered all the essentials into the Trango 65 while keeping weight to a minimum. I find the breathable padded hip belt very comfortable. My thin frame appreciates the cutout in the hip belt and I like how it naturally rides around my hip bones. One thing to note is the hip belt appears to be sized for people with a waist 31 inches or larger. I have to cinch the belt nearly all the way in order to get a firm fit. This leaves lots of extra strap, but it can easily be tucked out of the way or cut off for a more customized fit. 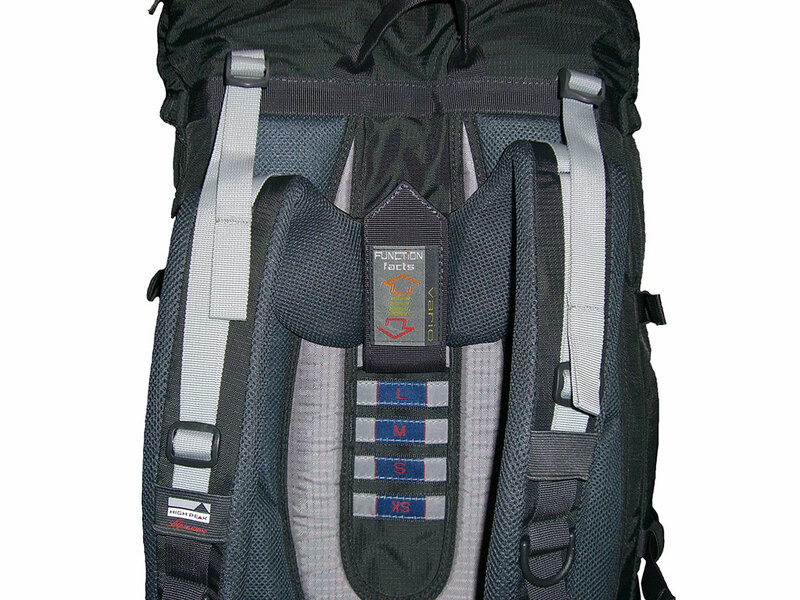 Like other High Peak backpacks, the Trango 65 features the Vario Harness System. 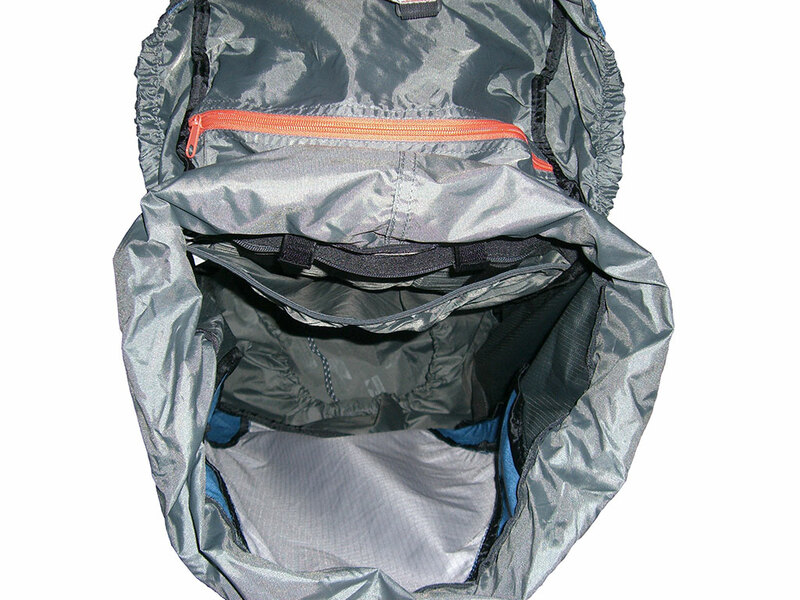 The backpack is easily adjusted with a hook-and-loop fastener up or down between the five available levels for a custom fit for any person. I find the medium setting works perfect for my 5'11" height. Paired with the adjustable foam shoulder straps, the Trango 65 is one of the most comfortable backpacks I have worn. For me, loads of 20 to 30 pounds feel like next to nothing. When I pack light and my gear doesn't fill up the 65 liter capacity, the side compression straps pull everything in close for a streamlined carry. On one exceptionally wet trip, I was able to test the Hypatex® coating on the Trango 65. Even though the backpack is not designed to be waterproof, I was pleased with the results as the contents in the backpack remained mostly dry. The rain beaded up and ran off the pack in streams as the downpour continued. The small amount of water that came in was rain that had been blown in through the zippers with 30-50 mph winds. The only way to combat weather like this is with a dedicated rain cover. But if you ever find yourself without one, the Trango 65 will do a great job keeping your gear mostly dry on its own, especially if it's just a shower. My 3 liter hydration bladder fits perfectly in the dedicated pocket within the main compartment of the Trango 65. 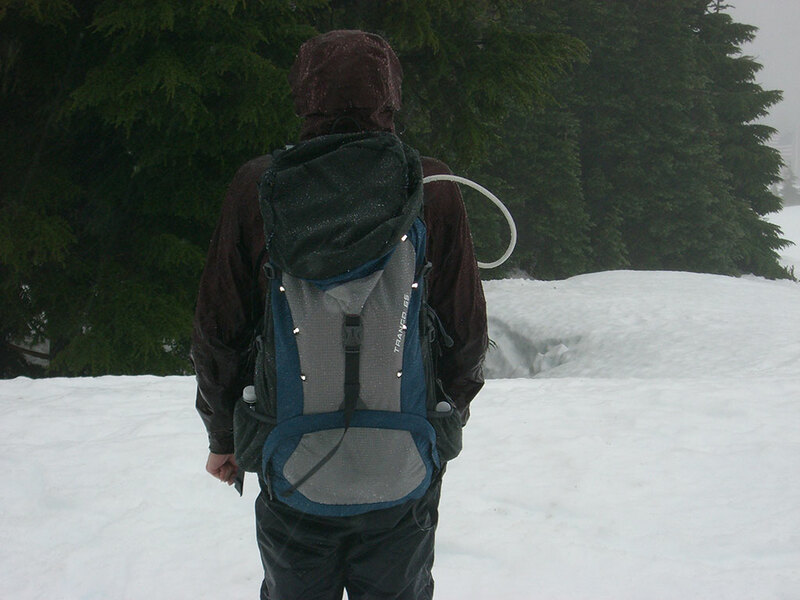 The backpack features two hook-and-loop fasteners for holding a hydration bladder in place. They line up just right with mine and the hydration hose exits the backpack through a dedicated port on the right side. The Trango 65 pack continues to perform, but I have noticed a few limitations. 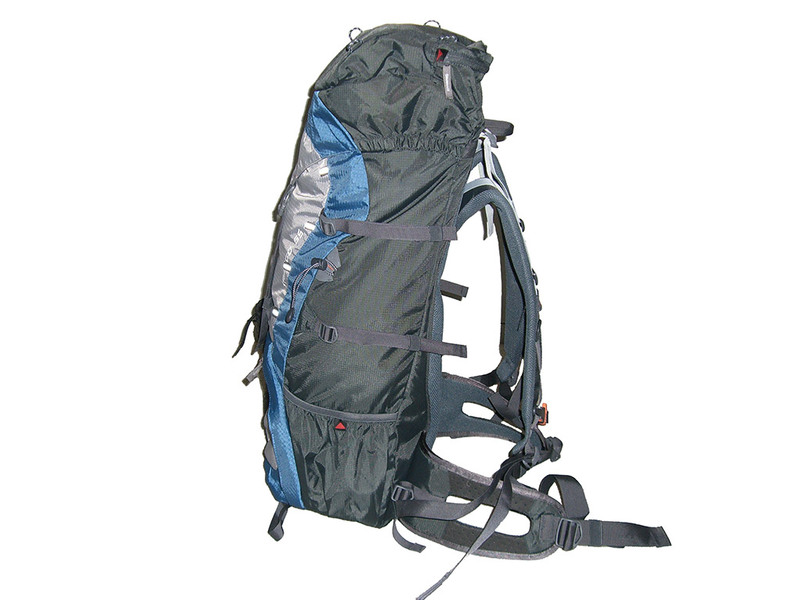 First, loads of 40 pounds or more become uncomfortable, so I recommend staying below that weight with this pack. I have also come to really like pockets or pouches in the hipbelt and the High Peak Trango 65 unfortunately has none. The single strap securing the top lid to the front of the pack is not adequate for securely storing a tent or sleeping pad under the lid. It really needs to have two straps instead of one. Finally, straps are missing from the bottom of the pack which would be nice for attaching a tent or sleeping pad to the outside. Fortunately one can still attach items to the outside using the loops that run up the middle of both sides on the front of the pack using rope or shock cord. 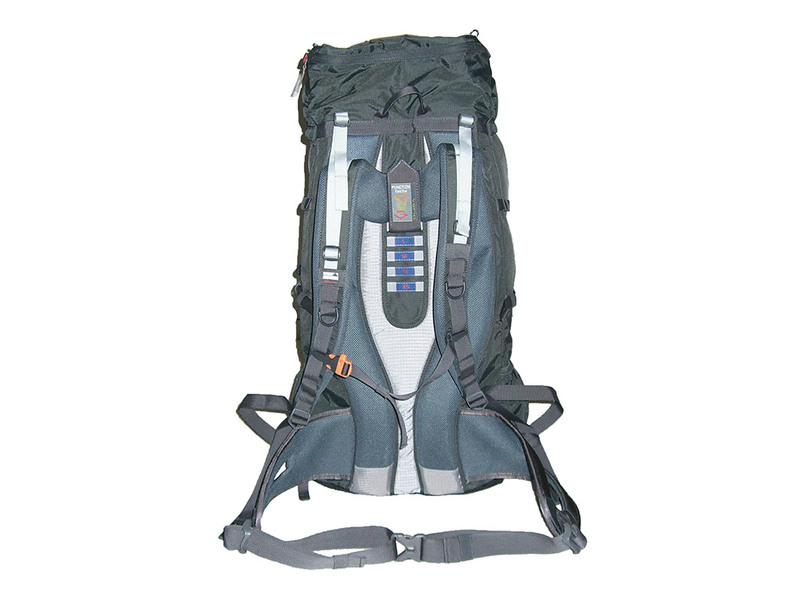 High Peak has created a durable, lightweight, and spacious performer with the Alpinismo Trango 65 backpack. I am impressed and recommend it. The entire Alpinismo line looks to be a great value. 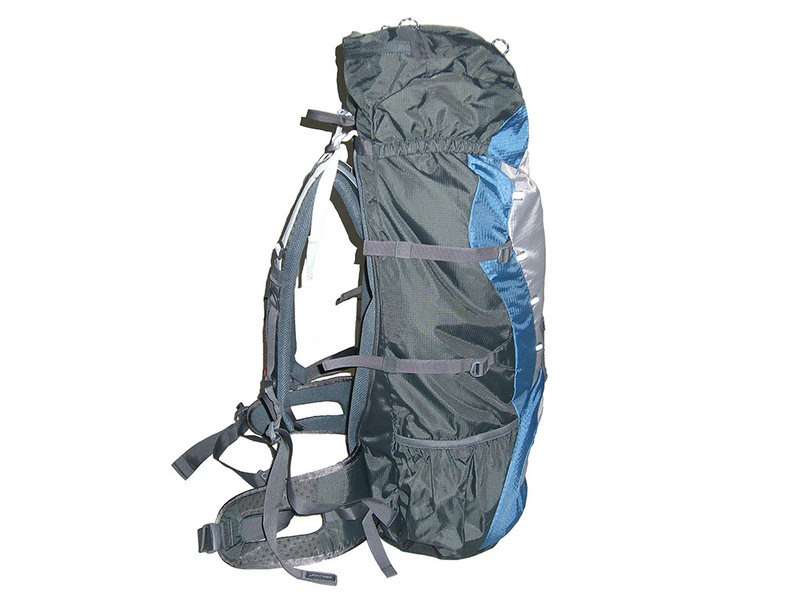 If you're looking for something with a little less capacity, try the Alpinismo 55 or Alpinismo 45 backpacks. Available at amazon.com. Special thanks to High Peak USA for providing the Trango 65 backpack for review.